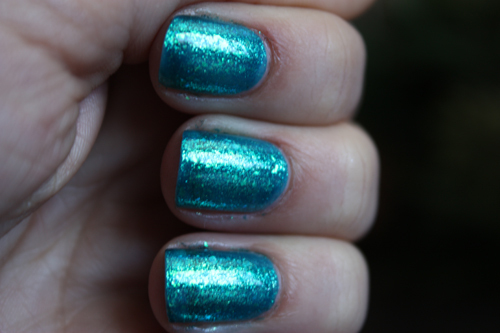 I've moved on from the Cold Stone nail polish, the texture was just too awful to endure. 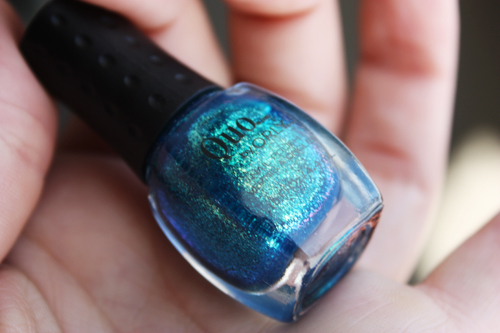 This nail polish faired a bit better than the Cold Stone one; another Quo by Orly polish, this time Turquoise Moonlight. 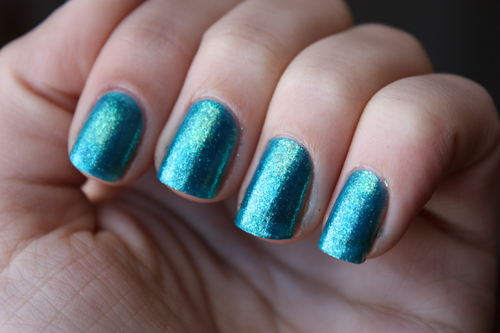 This polish has a turquoise base and is packed with shimmer and looks like it has a golden duochrome affect, but this doesn't translate exceptionally well to the nail. 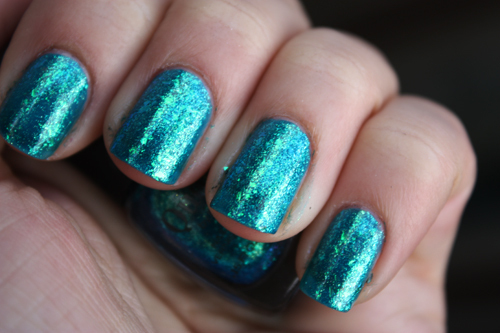 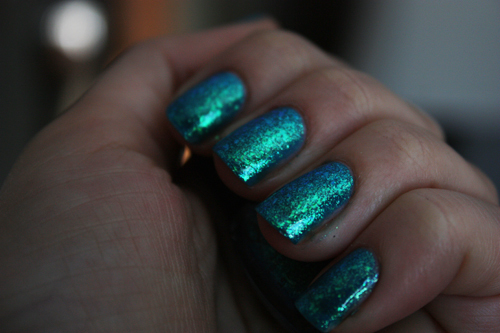 It's a gorgeous nail polish, ends up being a very bright glittery. 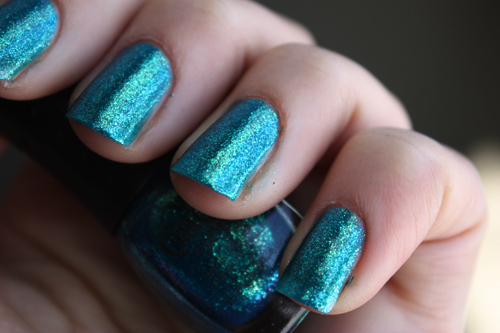 It can go from looking bright blue to a beautiful turquoise-gold. 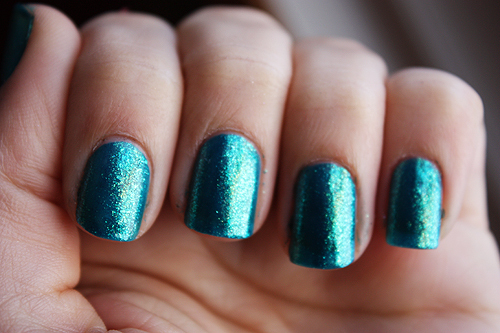 This is 3 coats of Turquoise Moonlight.